This year's Concorso d’Eleganza Villa d’Este starts next weekend, and since BMW is the main sponsor of this fantastic event, it's no wonder they came up with their own star again. This time, with the help of Pininfarina. Meet the V12-powered BMW Gran Lusso Coupé. Last year, it was all about the Zagato-built Z4, but that had the normal engine. 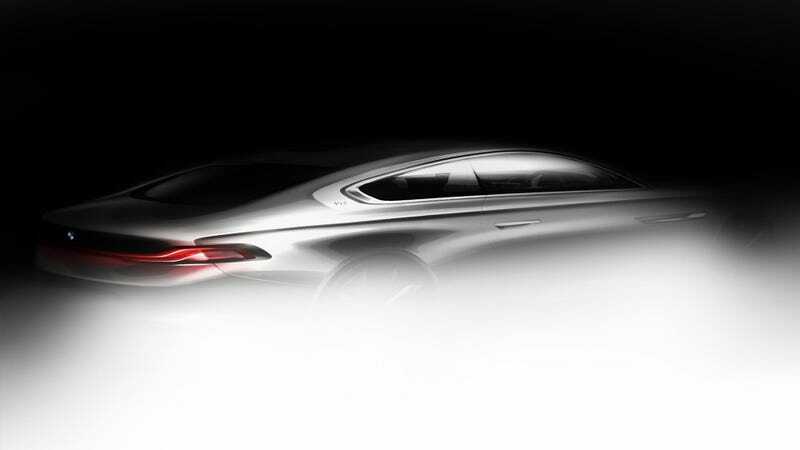 Since I'm guessing this new car is based on the 6-Series Gran Coupe, it's great to see those extra four cylinders up front. While I would never dare to call the 650i's 449 horsepower twin-turbo V8 sluggish, the greatest GTs in the world have V12 power. That's a given.